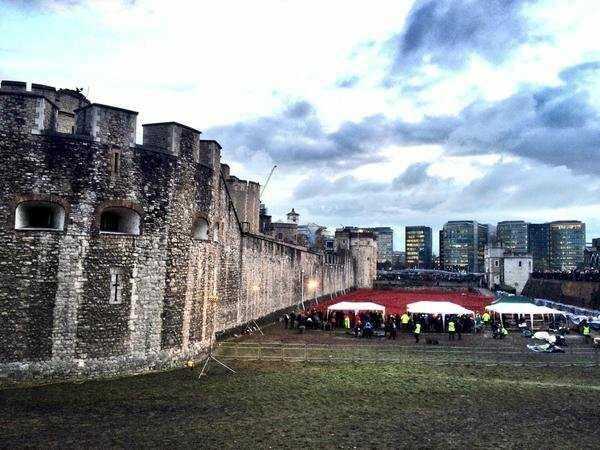 The 888,246 ceramic red poppies that filled the Tower of London mote as a tribute to British soldiers killed in War World I have now been removed. The result is much less pretty. Now it’s just a sea of brown mud. The poppies stayed on display for months, after the very first one was planted in early July. 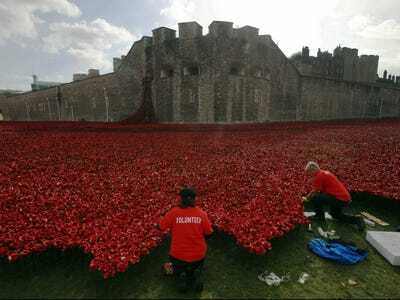 Unfortunately, the full cover of red ceramic petals killed all the green grass underneath.